Thought that's what you're after? If you want something that conditions the hair, you can have a look at the beard oil from the same range. Sorry i forgot about telling that my beard is not that much .. i want tips on growing my beard fast so that i can style is better. I suggest Badger Beard Oil. Apply to clean, dry beard once a day. Also,'pick up a quality beard comb made of wood (pear wood, preferably) and comb down after applying oil. The oil is for the underlying skin, but combing helps distribute evenly through your beard hair. In time, you may opt mix your own beard oil due to personal preference and cost. Also, you can add drops of essential oils that you may already have if you mix your own scents or use for aromatherapy/relaxation, etc. Congrats on the big day and be sure to give your beard at least 90 days to know your approximate bearding ability. 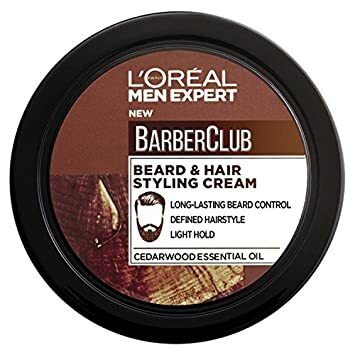 You may want to add a boar hair (or similar) brush and some balm once you have some more growth. Both will help you down the road. Question For Those With A Full Head Of Grey Hair - Is The Hair Fine/Thin?